In the spirit of giving and caring for the elderly, Namibian Diamond Trading Company (NDTC) recently had a lovely delicious early Christmas lunch with the Elders and staff from Katutura Old Age Home. The elder also received gifts from NDTC consisting of a cosmetic bag, cosmetics and a set of towels on Friday 2 November 2018. “We are very happy and we give NDTC all our thanks and blessings” said overjoyed Oum Harold Bluuden. “This is our way of showing that we care for our senior citizens and we urge all Namibians to reach out to our senior citizens, because we would not be here today if it was not the journey that they took for us,” said NDTC’s Chief Executive Officer Mr. Shihaleni Ndjaba. 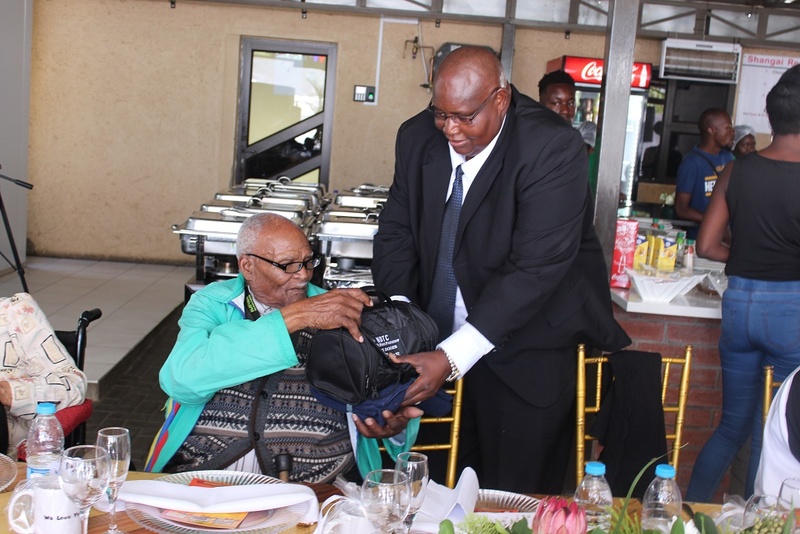 The gifts for the elders were handed over by His Worship Cllr Muesee Kazapua, city of Windhoek Mayor who also took the time to greet and give the gifts to the elderly at Shanghai Restaurant, Katutura. He further thanked NDTC for bringing the elders out to a new environment to have their lunch, listen to good music and have a little bit of fun for a few hours. He further asked the nation to continue supporting our elders and have them in our minds all the times. There’s an age old saying: Care for those who once cared for you and you will live a long and fruitful life said Kazapua.